Big Dreams…. Big Plans… Big City…I’m on my way to Atlanta to make a couple of moves. Meetings, Production, and Tutoring are a few of the things that I do when I’m in the city. Come walk with me in my day to day operation. His signature KingPop originated from his childhood nickname Pop! William “KingPop” Floyd, a twenty-six year old artist, raised in Goldsboro, NC, started painting at age seven. William travels all around the states and feels inspired by “people and life experiences”. A few of his notable works are Louis Armstrong, Miles Davis and self titled “Keys” painting. He currently resides in Atlanta, Ga. where he paints and designs for a living. He attended Mars Hill College for two years where he received a scholarship to play basketball while studying fashion and interior merchandising. Following that, he attended Saint Mary’s University for one year, continued his college basketball career and switched his major to graphic design. Later on William graduated from The Art Institute of Atlanta where he earned his Bachelor of Fine Arts in Graphic Design. While attending school William focused on showing his works of art in galleries and various markets. William is active in the marketing design community; he is dedicated to educating youth and curious people about art and its many facets. “My dream is to express myself through art and design by showing the world that anything is possible if you create” says William Floyd. Staying in the public eye is very important when building a major company. King Popular Design focus in the public eye is adding value to the community. The way we plan to add value is educating the youth and any curious people about art and its many facets. 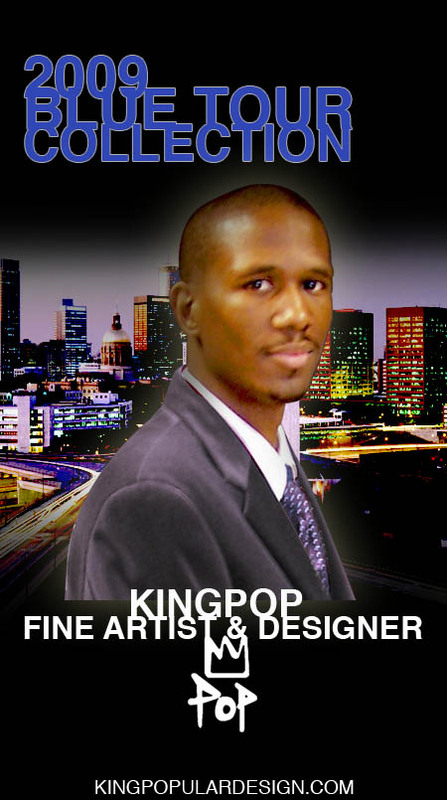 I’m William M Floyd, owner-operator of King Popular Design. The leadership that I will continue to bring our company is motivating and educating while remaining a force in the community and the marketing industry. We look forward to service your company in the marketing and fine art industry. 2009 will mark our annual KingPop tour, which will feature our hottest fine art and designer of the year. Fine Art and Marketing Industry have found a special place in my life. Growing up with several career options to choose from broaden my mind. I had many different skills that I wanted to developed individually. But I choose to focus on basketball, arts, and education. Basketball was the first talent that I spent many hours dedicating my time. Eventually, basketball was my escape. I went to Mars Hill College to study fashion and interior design, while proceeding my career in collegiate basketball. Later I transferred to Saint Mary’s University, and begun studying graphic design also continuing my basketball career. The Art Institute of Atlanta would end up becoming my college home and where I would earn my bachelors of Fine Art in Graphic Design. Now here I am, a Independent Contractor in the Marketing Industry. Mitsubishi Electric, Proctor and Gamble, and Waffle House are a few companies that I have the opportunity to create designs.